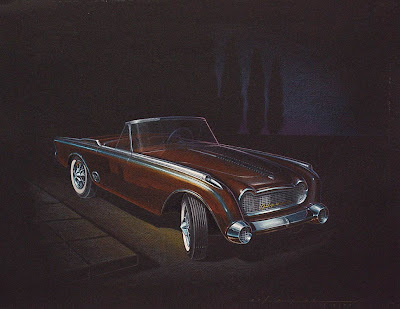 The gallery’s focus is directed toward automotive concepts. Many represent the artists’ pure, unrestrained ideas before practical matters of cost and engineering compromised the vision into a mass produced consumer product. Some images are closer than others to what we’ve seen at car shows, dealer showrooms or on the road. They all offer a tantalizing, seductive and sometimes enigmatic view behind the scenes of the auto industry's secret design studios. Self-taught designer - Butler's portfolio in 1946. Don Butler grew up on a farm in southern Michigan. His fist close association with a car came in 1919 when his father bought a used Chevrolet 490. When Don’s father died in 1926, the fifteen year old Butler had to give up school to help support his family. 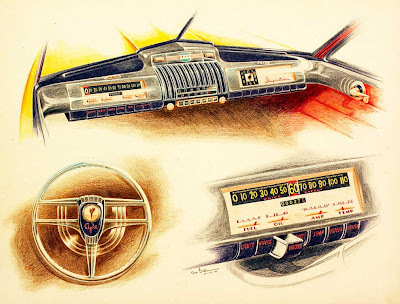 Instrument panel designs helped land Butler a job at Hudson. By 1928, Don left farming for factory work in nearby Hillsdale, MI. But as the Great Depression took hold, Don joined the ranks of unemployed and took what unskilled work he could find before landing a permanent job cutting fabric for men’s and boy’s trousers. He spent the next 11 years working in the garment factory and then joined the military at the outbreak of World War II. While in the service, Don spent his off-duty hours drawing imaginary car designs. His colleagues were so impressed, they thought Butler had been a professional designer before the war. Although it was hard for Don to comprehend getting paid for something he had always done for fun, especially without a specialized education - his friends convinced him to make a post-war go for it. Butler was encouraged by interviews at Ford and Chrysler in 1946. But, it was Hudson that fist added Don to their styling staff. His first assignment was adding finishing touches to the 1948 “step-down” Hudson. Soon Don moved to better opportunities at Willys-Overland where he worked on the Jeepster, Jeep station wagons and a Willys passenger car concept. 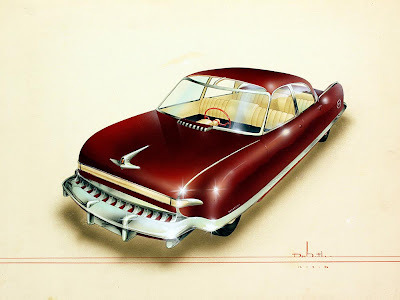 Butler found time to design a sports car amid the merger turmoil in late 1953. 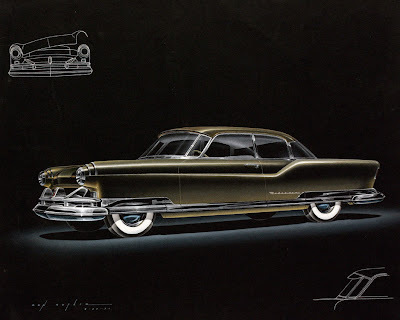 Next for Don was Nash in 1948, followed by a merger with Hudson and the formation of American Motors. By 1956 the fledgling AMC was having a rough time so Butler jumped to Chrysler and began his 18 year career in Highland Park. 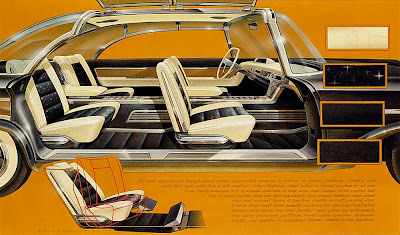 Don worked in interiors as well as body and ornamentation styling on all of Chrysler’s makes and models. 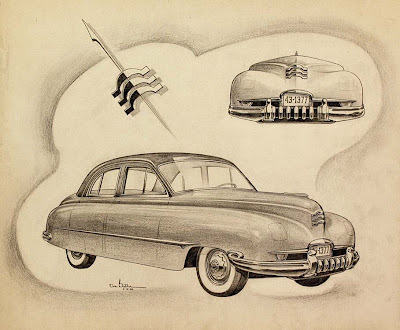 After retirement in 1975, Butler became active as an automotive historian, authoring books on the history of Hudson, Auburn-Cord-Duesenberg, DeSoto and Plymouth. What a great blog - I'm glad I stumbled across it. Thanks. The sports car in this post reminds me of the Triumph TR4.